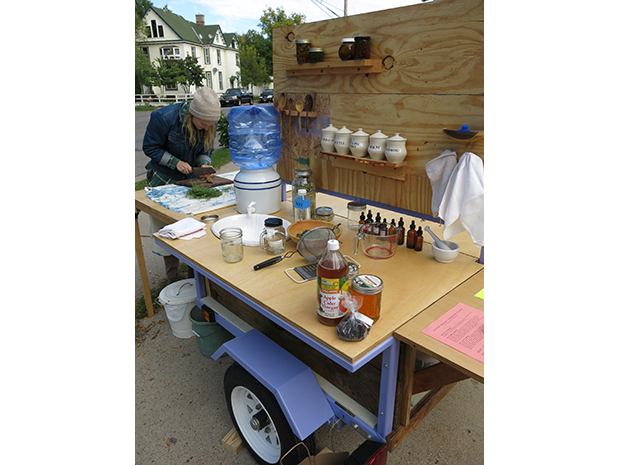 Kitchen School is a mobile kitchen classroom to educate the public about wellness through herbalism. 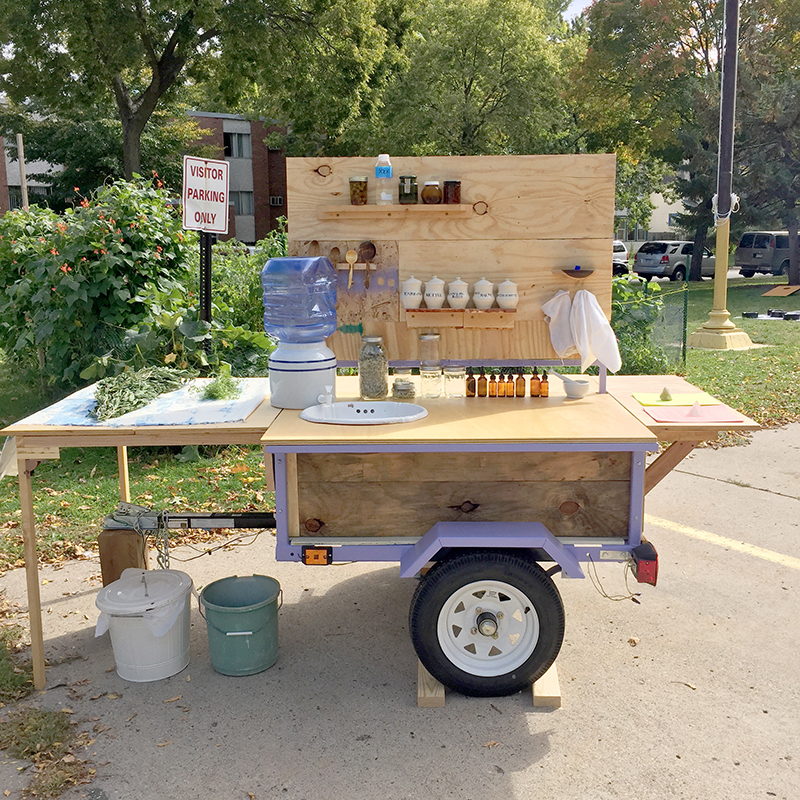 Kitchen School is a mobile kitchen classroom to educate the public about wellness through herbalism and foster community through self care. Enjoy medicinal teas and a guided conversation surrounding the vulnerabilities of having a body that gets sick, struggles emotionally, and eventual ceases. Through sharing the common experience of self care, connect with strangers, friends, and colleagues by improving daily life with the help of plants. 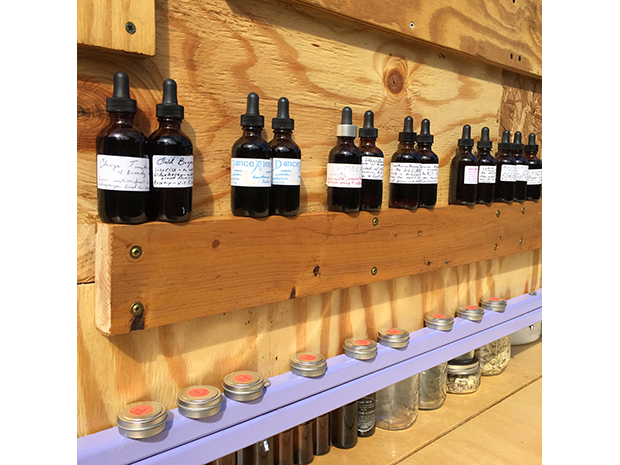 Customize for your event with a hands on salve making workshop where participants take home their own salve or host a medicine cabinet class and learn how to make tinctures, oxymels, and infuse oil. 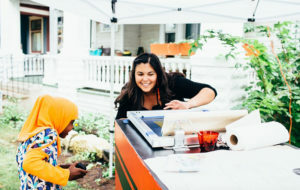 Kitchen School is always staffed by plant enthusiast, Jess Hirsch. 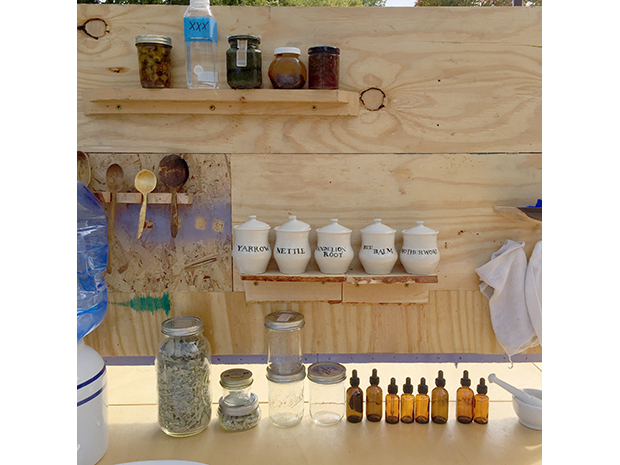 Kitchen School will come to your location and serve 6 kinds medicinal tea for stress, immune support, brain health, respiratory health and more. 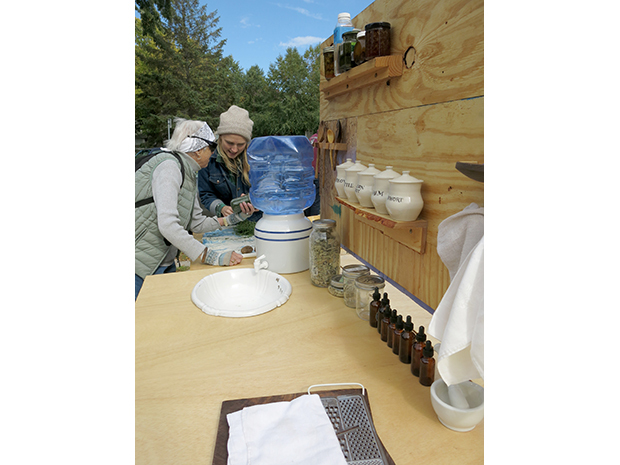 Participants will sip tea and learn about the healing properties of the plants, how to identify plants, and the best way to prepare the plants. Participants can take home a recipe handout with additional information about the plants. -Additional hours are billed at $100 per hour to account for materials in medicine making and staffing. 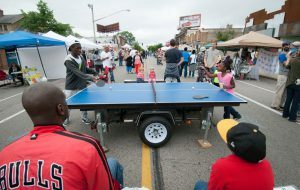 -We can customize for your event! Want to talk a particular health issue for your community, we can bring the right herbs to get the conversation going. Add $200 for custom hand outs. This tool needs power if indoors to heat water for tea, otherwise we use our gas stove. 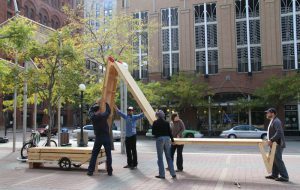 Jess Hirsch is a conceptual artist investigating the healing world through installation and sculpture. She received her MFA from the U of M.